Whatever life experiences have made you consider becoming a teacher, the IU School of Education can help you become a great one. Here, you’ll get the knowledge and experience to become a reflective, compassionate, and socially conscious teacher with the power to create real, long-term change in the communities where you live and work. I make it a point to let my students know I want to know their cultures and what makes them individually different. Different is always good in my classroom! Each of our programs is carefully designed according to our Six Principles for Teacher Education. You’ll acquire a deep understanding of how different students learn, and explore prevailing strategies about teaching, including how to integrate new technologies into instruction. Along the way, you’ll develop your own theories about instruction, assessment, classroom management, and more. 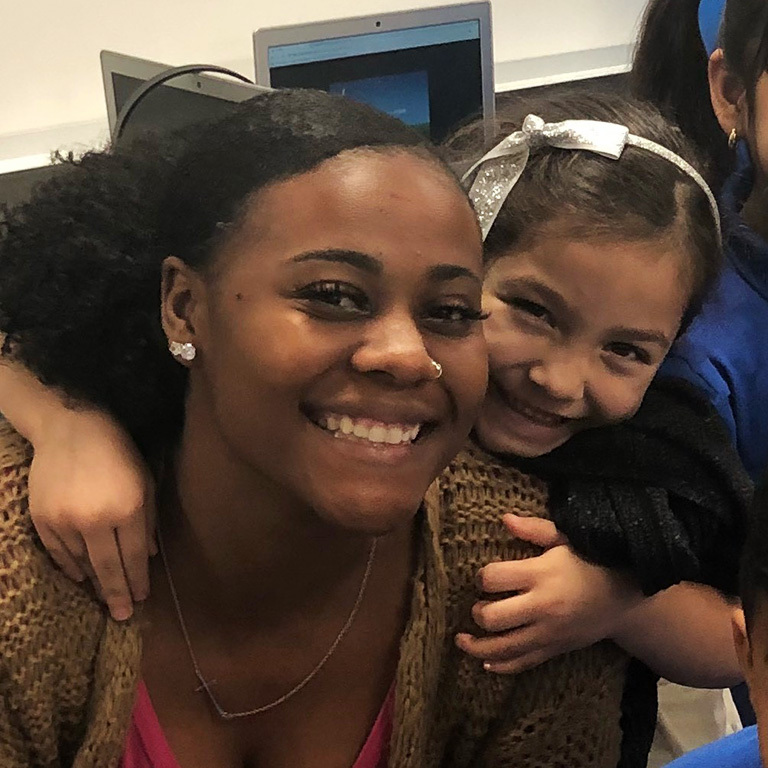 You’ll work beside exceptional educators in their own classrooms as early as your second semester through our Early Field Experiences program, and during your Student Teaching you’ll have the opportunity to practice in real-world learning environments. You can even choose to study abroad through our Global Gateway for Teachers program. If you’re in secondary education, you can also take part in our Community of Teachers program, an ongoing seminar where students at different points in their educations share their experiences and work toward developing a portfolio of professional skills. If you already have a bachelor’s degree, you can earn a secondary teaching license in just one year through our Transition to Teaching program. Good teachers understand how ethnicity, gender, nationality, race, sexual orientation, and socioeconomic status shape our perspectives and the way we learn. The IU School of Education is committed to building students’ understanding of issues of access and equity and preparing them to teach in multicultural environments. We also actively seek out passionate, committed students from a wide range of backgrounds, whose perspective informs our research, outreach programs, and student teaching curriculum.